Here at Grandpa’s Sweet Shop we are proud to be a British family business. We began trading from our premises in September 2015 and since then we have grown and expanded our range to offer a huge selection of sweets for you to choose from! Being independent from large franchises & corporations allows us to ensure that our business is run as we would like it to be and in line with our core values – service, honesty, quality and reliability. We 100% believe that excellent customer service is key and should be at the forefront of any business whether it be on the high street or online which is why every decision we make is based on providing the best to our customers. We have sourced quality sweets from quality and trusted names including Taveners, Bassett, Swizzels to name but a few but also we are very proud of our HANDMADE selection of sweets – they are British made in the traditional methods and the flavours are delicious, we can honestly say they are some of the best we have tasted. Throughout the shop any handmade sweets will have ‘handmade’ in the heading. We have also researched the best delivery services in terms or reliability and value as this is important to us and also to you. You can find out more about our delivery in the delivery section – you’ll be pleased to know though you’ll never have to wait long for your sweets! As technology evolves it gets easier to buy more online and we want to be part of this progression, BUT you can still contact us with any questions and/or requests for help via email, phone or even post! You’ll get a personal reply – there’s no robots here! We’re human and we want your buying experience to be the best it possibly can which is why we have looked for the best sweets, the best couriers to work with and we have the best team but we do still welcome any questions & feedback so we can continue to offer the best service around! Our aim is always to get your sweets to you for you to enjoy as easily, safely and quickly as possible! As you go through our site there’s a few people we should probably mention…firstly GRANDPA! ‘Grandpa’ is my Grandpa who unfortunately I lost in 2012 but he was a huge part of my life – he loved his sweets and in particular his chocolates but most of all he would have loved this shop…and especially the name. As a little tribute to him you’ll find Grandpa’s Luxury Chocolate Box full of his favourites! As you we have gathered the shop is named after him and we think it fits perfectly…after all who wouldn’t want to go to Grandpa’s! 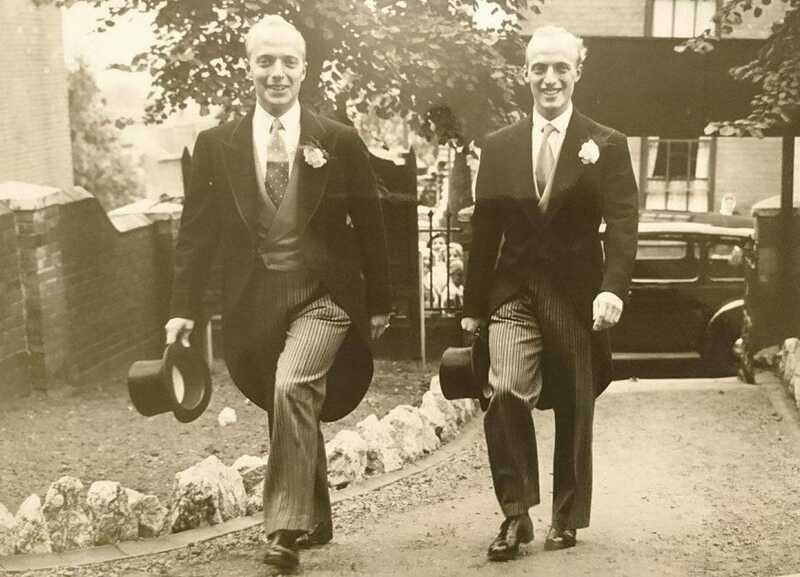 ‘Uncle Alan’ – Grandpa had an identical twin (and yes they really were identical!) who…you guessed it was ‘Uncle Alan’. He absolutely loved his toffees more than anyone I’ve ever met but more importantly it was him who suggested the name for the shop and so its him we have to thank for that. Unfortunately we lost him in 2016 before he managed to see our online shop but we have created ‘Uncle Alan’s Toffee-Tastic Jar’ in his honour! So see…this really is a family business and we want to welcome you to our family!